Lately I feel like life is moving way too quickly. There just doesn't seem to be enough time in the day to do all the things I need to get done. Between work, taking care of the house, getting ready for the holidays, spending time with our families, and getting in a little time with Justin, I feel like I need one million hours in a day. When life gets too crazy, I bake. A lot. Too much even. Why do laundry when you can make a cake? Why grade research papers when you could spend a few hours in the kitchen icing cookies? Yes, I know that everyone in America is on pumpkin overload right now. But contrary to their name, these little guys don't actually have any actual pumpkin in them. 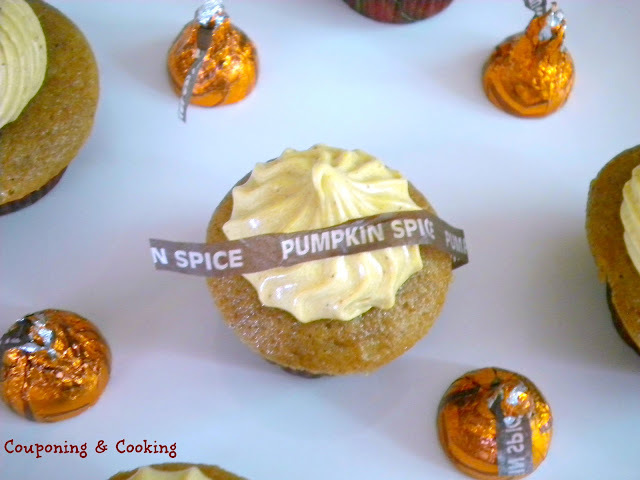 Just pumpkin flavored everything. Pumpkin Pie Spice. 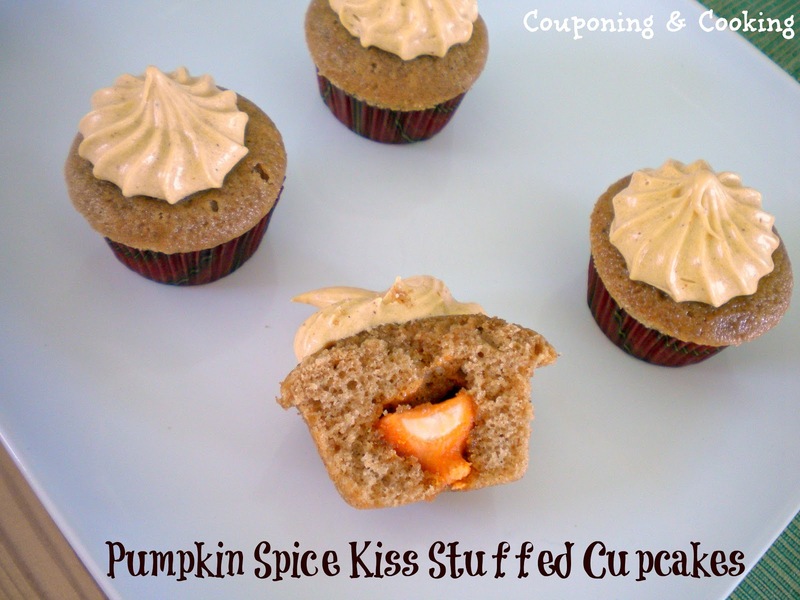 Pumpkin Spice Hershey's Kisses, Pumpkin Spice Country Crock Spread. So I guess you could call these pumpkin flavored products overload. But it works. These truly are the Ultimate Pumpkin Spice Cupcake. Pumpkin Spice to the third power. Pumpkin insanity if you will. These cute little cakes are just one step away from pumpkin overkill but somehow the sweetness of the Hershey's Kiss and the icing is perfectly balanced by the spiciness of the cake and the bite sized portion is just enough to leave you wanting a little bit more. While it may look and sound complicated this recipe is actually pretty easy. But between the mixing, scooping, unwrapping, stuffing and icing, you can successfully avoid cleaning/cooking/working long enough to put it off for another day. And time spent covered in sugar is never wasted right? 1.) Mix the spice cake mix as directed on the box. 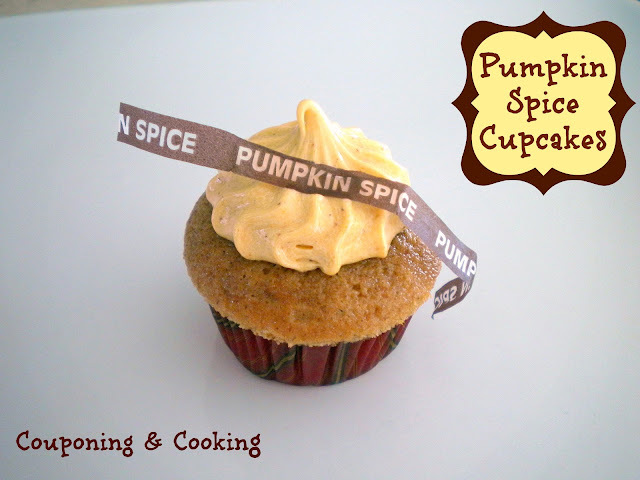 Add pumpkin pie spice to taste. I used about a teaspoon and a half. 2.) 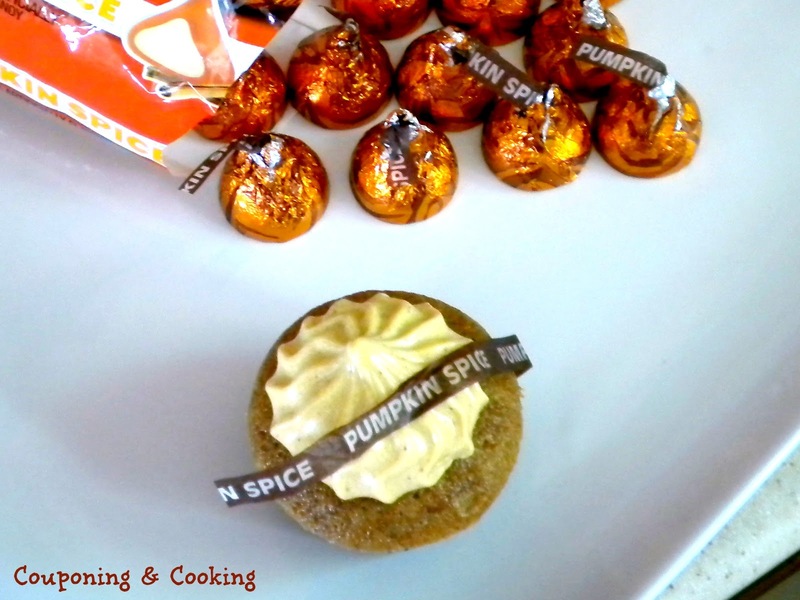 Use a cookie scoop to fill mini cupcake liners with the spice cake batter. 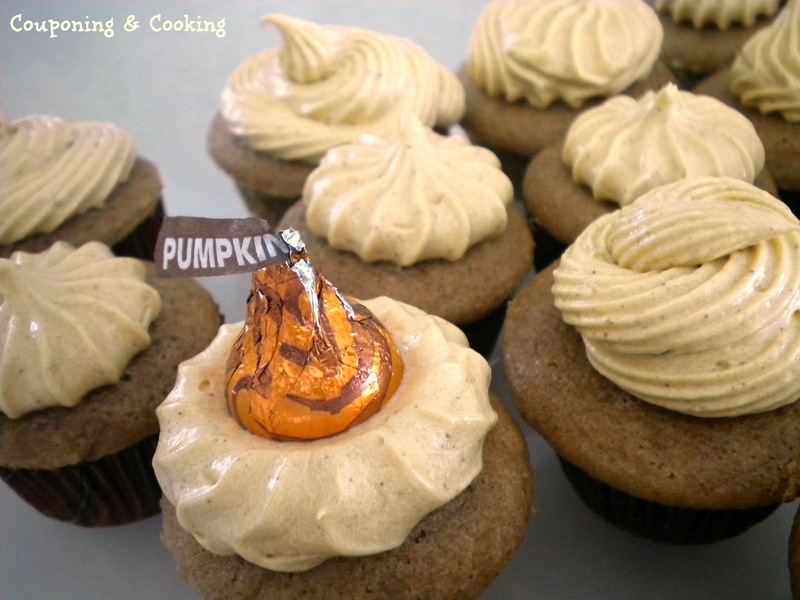 Place an upside down Pumpkin Spice Hershey's Kiss in each filled cupcake liner. Bake according to the box until done. 3.) With an electric mixer, beat together Pumpkin Spice Country Crock, softened cream cheese, and brown sugar until smooth and well combined. 4.) Once cupcakes are completely cooled, ice and decorate as desired. Those cupcakes look too good! 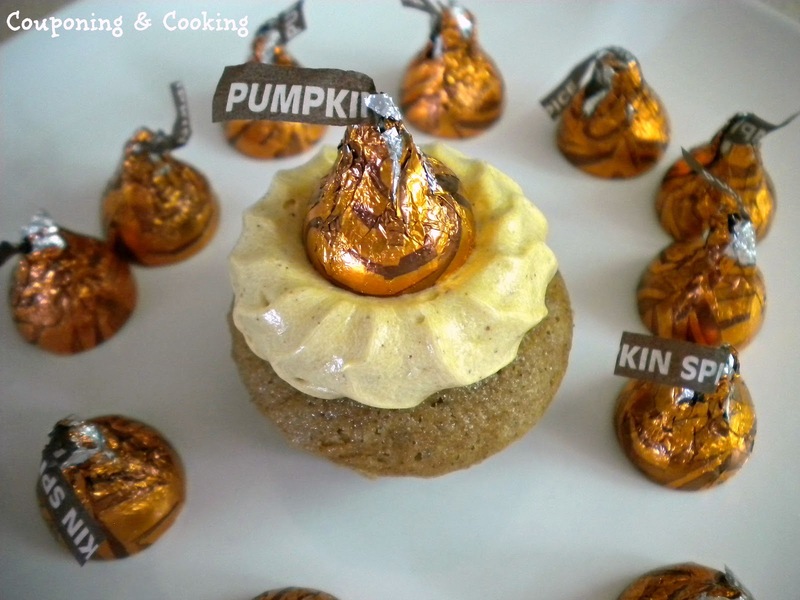 I didn't even know pumpkin spice Hershey Kisses existed! Thank you for sharing and linking up to the Empowered Living hop, hope to see you back again for some more delicious recipes and more. Too bad I didn't live closer, I would so help you taste test all those tasties you bake. I can never get enough of these kisses! These are great cupcakes! 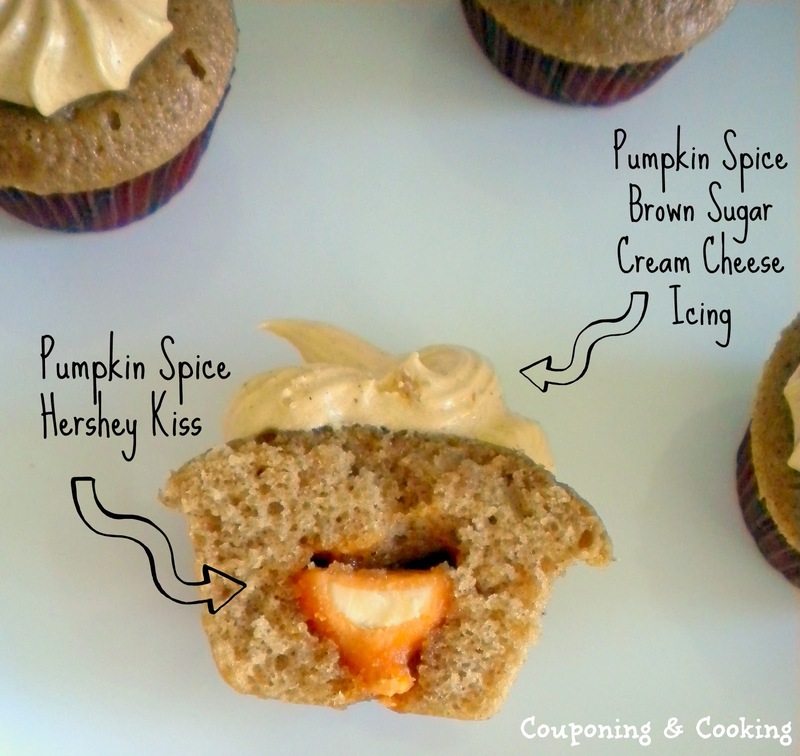 Love the idea of baking a kiss inside of the cupcake. Yum! Oh my goodness those look good! As soon as I get over some of the desserts from Thanksgiving, I'll have to give these a try. And yes, it really is a busy time of year...you forgot to mention having to take pictures and blog...or maybe you have a little elf that does that for you! ;) In any case, the cupcakes look amazing. So glad you shared over at Sweet Sharing Monday! What a great idea...sticking the hershey kiss inside the cupcake...love that idea! 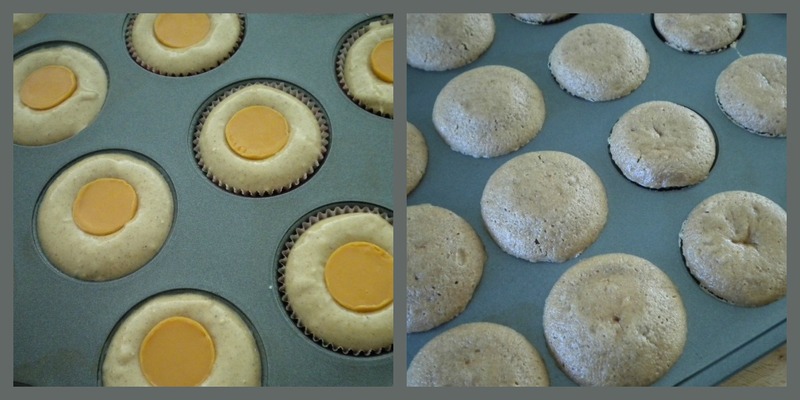 These look drool-icious too, thanks for sharing 'em at our Sunday Show and Tell Linky Party! Oh my goodness...these are beautiful and I think I can smell their yumminess through the computer!! Thanks for linking up at Think Tank Thursday last week. I hope to see you tomorrow night.